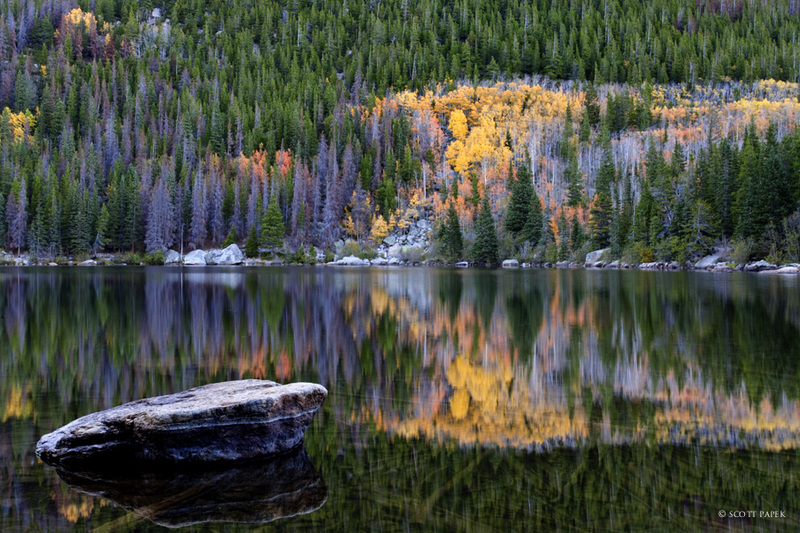 Bear Lake road is a incredible site during fall peak colors. The calm fall day presented a perfect reflection for me to capture. Photo © copyright by Scott Papek.